In Philly, speculation over where Apple might build its next campus hasn't quite matched the craze over Amazon's so-called "HQ2." But the city could be among the frontrunners for the California-based tech giant's fourth U.S. location, according to a recent Bloomberg report. Comcast to increase Xfinity internet speeds in Northeast U.S. The company has said a location for the new facility will be announced later this year and that it won't be in California or Texas, but it hasn't issued a series of clear guidelines describing what it's looking for in a city, like Amazon did last year for its second headquarters. It also has not publicly narrowed down its list of possible locations. The company declined to comment for the Bloomberg report, which examined potential sites for the new campus based on a set of criteria. Apple did not immediately respond to an inquiry from PhillyVoice about the Bloomberg report on Thursday afternoon. The report narrowed down potential suitors by examining metrics like tax incentives, human capital, existing corporate presence and accessible public transit. 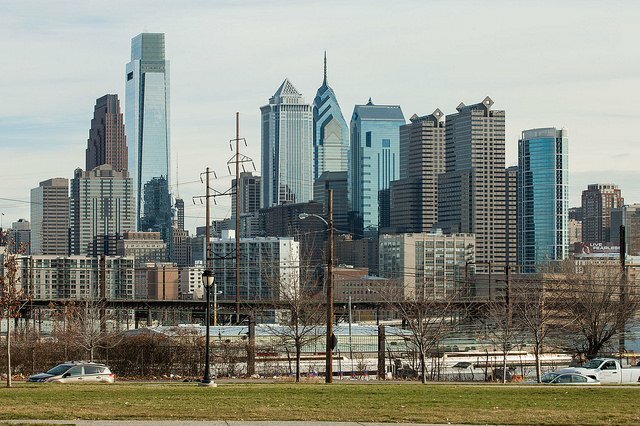 Using data from Moody's Analytics within those criteria, the report showed that both Philly and Pittsburgh could rank among the national frontrunners for the new campus. Many mid-sized cities throughout the south, mid-west and along the Pacific Coast largely dominate the list of those that could offer strong tax incentives, according to the report. But larger metropolitan areas like Philly, New York, Boston and Chicago bring more to the table in terms of human capital and accessible transportation. Apple's new campus also looks set to include a call center for customer support, which Bloomberg notes could give an edge to cities along the East Coast because they could open for the day before existing call centers in Texas and California." When you consider all these factors, Apple seems likely to choose among northeastern states such as Pennsylvania, Massachusetts and upstate New York; North Carolina and Florida in the southeast; and Midwestern states like Illinois and Wisconsin," the report stated. Philly and Pittsburgh already are among 20 finalists for Amazon's second headquarters, although how Philly stacks up with others in the group varies widely depending on who's doing the speculating. Bloomberg and Forbes both said last year that Amazon should pick Philly, while others like the New York Times and the Wall Street Journal have thought far less of Philly's chances. Like Apple, Amazon has said it plans to announce a location for its new corporate center later this year.